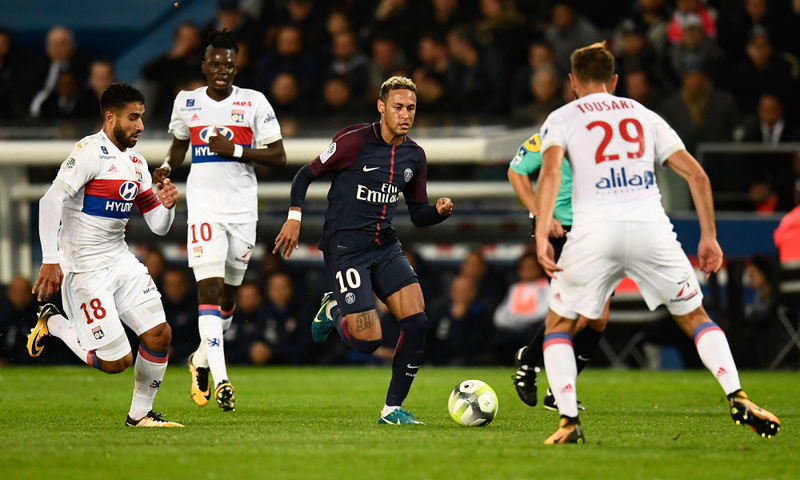 Paris Saint Germain’s one hundred percent win record after eight rounds of French Ligue One action faces it’s sternest test yet when free-scoring Olympique Lyon visit Stade de France on Sunday night. Thomas Tuchel’s expensively assembled Parisians are averaging over three goals per game and on Wednesday underlined their title credentials by firing six past Red Star Belgrade in a Champions League rubber. Tuchel has an embarrassment of attacking options to choose from. The rapid development of fresh-faced trio of Thomas Weah, Christopher Nkunku and Mousa Diaby means his much feared front three are to come into this tie well rested. The world’s most expensive player, Neymar Junior, has bounced back from a poor World Cup showing to top the Ligue One scoring charts. The Brazilian’s vintage form was on display against 1991 European champions Red Star Belgrade against whom he netted a fabulous hat-trick. Uruguayan Edinson Cavani and teen sensation Kylian Mbappe Lottin, the other two-thirds of the dreaded attacking triumvirate have also been in top form. Both sit among Ligue One’s leading scorers. Even more intense focus will be on Leonardo Jardim’s 2017 champions Monaco, who go into their game with Rennes without a victory to write home about in seven outings. Tuesday’s 3-0 Champions League reverse at Borussia Dortmund has Monaco fans wondering if the Portuguese gaffer hasn’t reached the end of his tether. Lyon are blowing hot and cold, interspersing memorable results like the 2-1 Champions League victory over Manchester City in the Champions League with setbacks like a home loss to Nice and draw with Nantes. But their own front men – Nabil Fekir, Bertrand Traore, Memphis Deepay and Patrick Dembele can destroy any defense on their day. Christophe Gautier’s high flying Lille are hoping the terrific form of Nicolas Pepe, Jonathan Ikone and Stephen Bamba can propel them past 1970s powerhouses Saint Etienne.